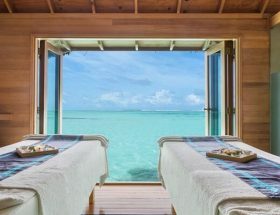 Angaga Island Resort & Spa Booking, Transfer, Superior Water Bungalow, Water Villas, Reviews, and More details given here. 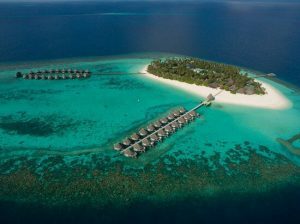 Angaga Island Resort and Spa Maldives is a wonderful island resort, located in the heart of the South Ari Atoll, Maldives. 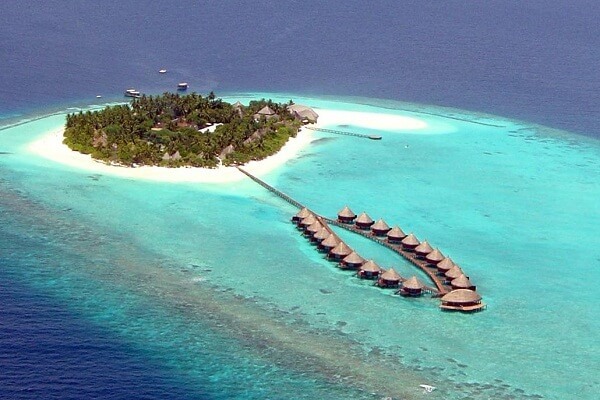 The resort offers an amazing sun terrace, a barbecue, and beautiful overwater bungalows. 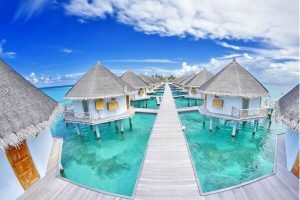 At Overwater Bungalows Guide, we have covered everything about Angaga Island Resort and Spa Maldives, including water villas info, reviews, transfer procedure, best ways to booking (reservation) and more. So, let’s see! 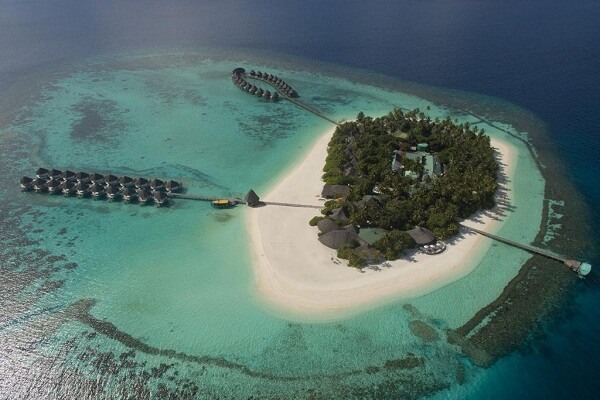 Angaga Island Resort Maldives offers various ranges of water villas (overwater bungalows) and island villas. It’s a great opportunity for any honeymooners! 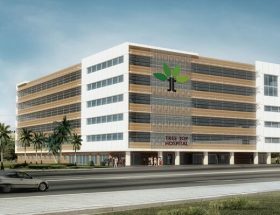 Male International Airport is the nearest International Airport. Maamigili Airport is the closest airport but it’s a domestic airport and hence no direct international flights. 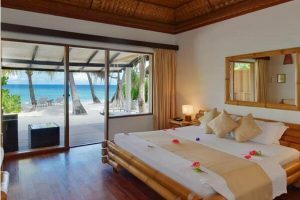 This island resort offers following popular facilities which are common and standard among the tourists. It is one of the best ways to spend your time in this beautiful island resort. It offers a great and amazing experience during your holiday. A wellness is a superb way to get relaxed and enjoy your trip to this amazing island resort. A spa and massage service requires an additional charge and will be added in your total bill. The given below are estimated prices for each season, low and high. It is one of the best ways to get relaxed and do not worry about extra things such as laundry service and ironing. However, a small extra charge is added in your bill. Do not forget to enjoy delicious food and amazing coffee which are available on-site. The following general facilities and services add extra joy to your holiday trip to the Maldives. The following are are house rules / and also takes special requests. On special occasions, this island resort charges extra for gala dinner (special dinner) on festivals. A few of them are given below. We are sure, it’s a wonderful experience to taste this gala dinner food. If you are looking for best overwater bungalows deals, visit this page here. We are sure that, you would get the lowest rates guaranteed. It’s an amazing service with world-class customer support experience. To reach here, you should land at the Male International Airport. From there take a seaplane which may take up to 25 minutes to reach the resort. Alternatively, you can take a domestic flight from Male International Airport to Maamigili Airport. From Maamigili Airport, take a speedboat ride which may take another 25 minutes to reach the resort. These are two safest options to reach resort hassle-free. 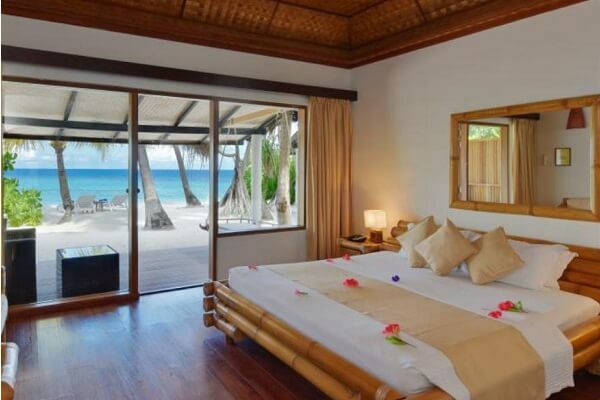 The following are contact details of Angaga Island Resort & Spa. Q1: Are pets allowed in the resort? Answer: No, pets are not allowed in this resort. Q2: Which cards are accepted at this property? Answer: American Express, VISA and Maestro cards are accepted at this property. Q3: Are children welcome at this resort? Answer: Yes, all children are welcome and charged extra. Q4: How many languages are spoken at this property? Answer: German and English are spoken at this property. 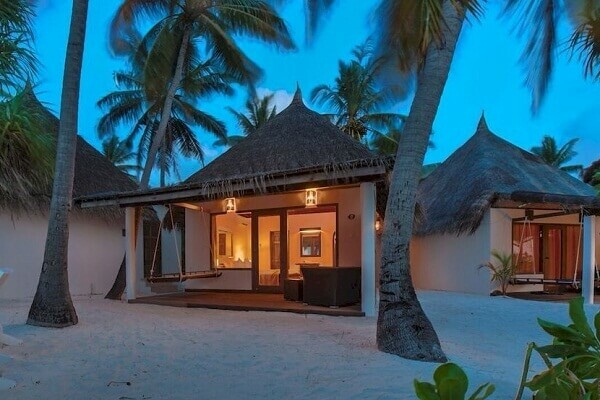 Q5: Is Wifi is available in this resort? Answer: Yes, WiFi is available in all areas of the resort and is free of charge. The photographs are selected which covers almost all areas of resort. You can watch this resort’s video here. Medical Emergency in Maldives: What would happen in case of urgent health issues?